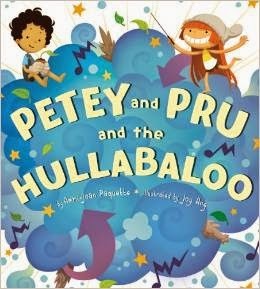 Petey and Pru and the Hullabaloo by Ammi-Joan Paquette and Joy Ang. Teacher pick! Amazing how useful this lively book is in determining meaning from context. Common Core, here we come (sigh)! Recommended by The PlanetEsme Plan. Link provided for information; please support your local independent bookseller.